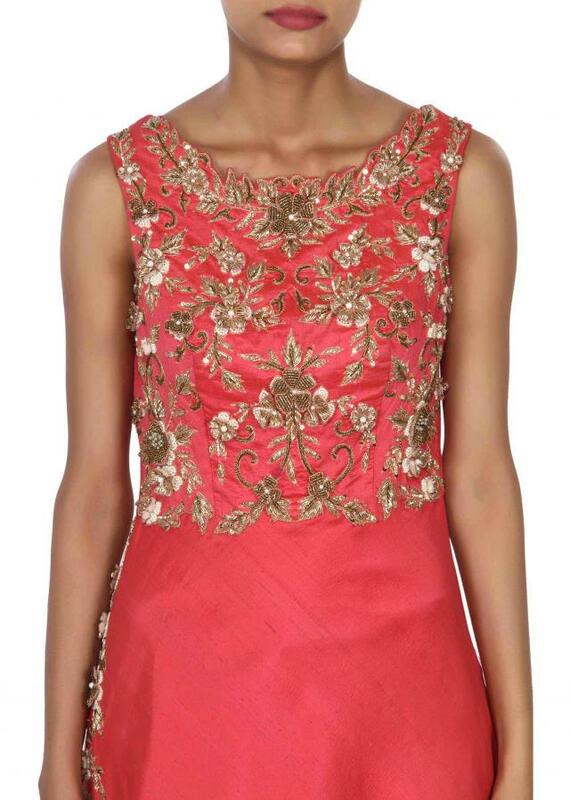 Salmon Coral Gown Featuring an Embellished Bodice Studded with Zardosi and Pearl Embroidery. 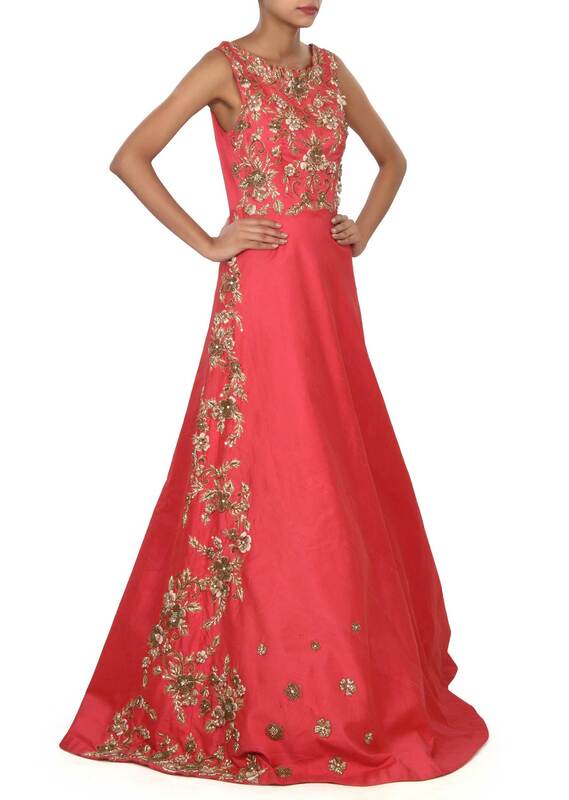 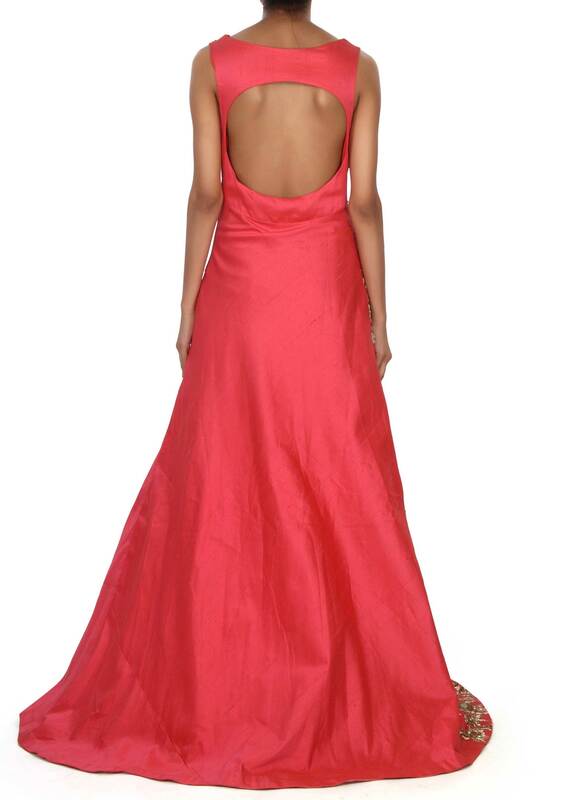 Sashay your way at functions and weddings in style with this salmon coral coloured gown. 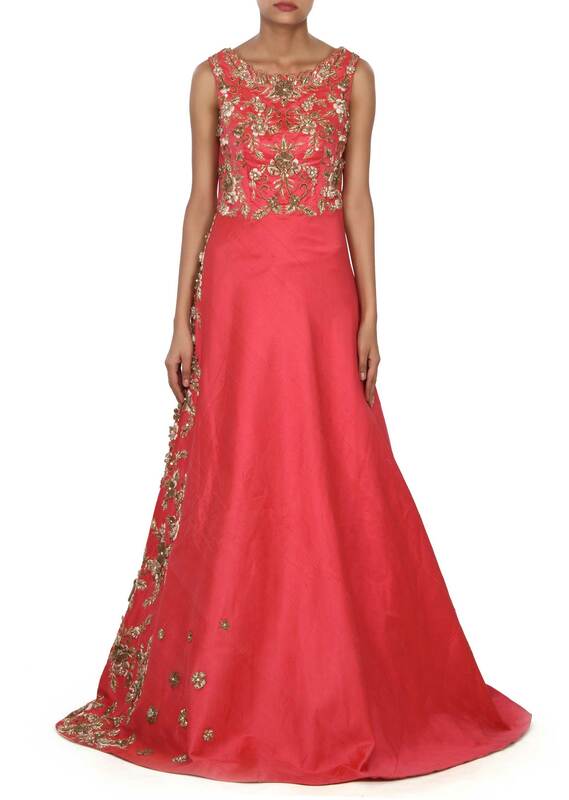 The dupion silk gown is designed with an embellished bodice featuring zardosi and pearl in 3D flower.